I live in a cabin in the middle of the woods. My house is decorated with bears, barn wood and all things rustic. Why am I telling you this? Because sometimes I fall in love with color schemes that would never work with my rustic style. But that doesn’t stop me from loving them! 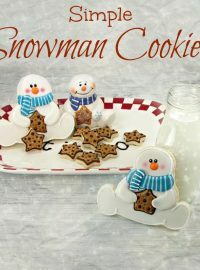 I can’t decorate my house wiht aqua and blue but, I can make cute little old snowman cookies with aqua and blue scarfs. I love the aqua and red Christmas decorations that are popping up everywhere but, there is no way I can decorate with them. 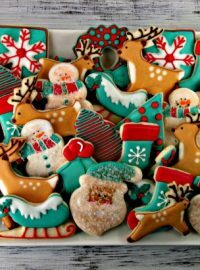 It doesn’t go with my red and black plaid pillows but, when I decorate cookies, I can use any color I want. 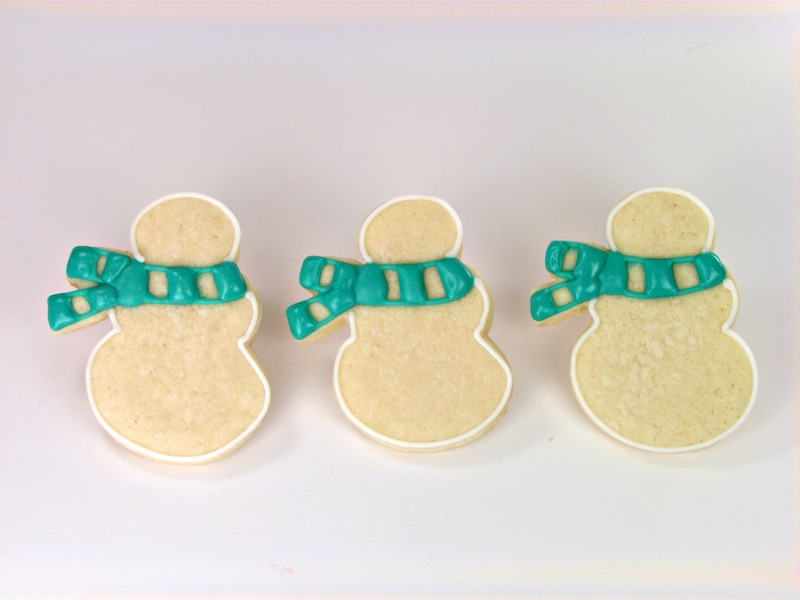 With the aqua icing, outline the scarf and make the lines. Then, fill in the knot. Next, flood every other square. Let it dry for about 30 minutes. 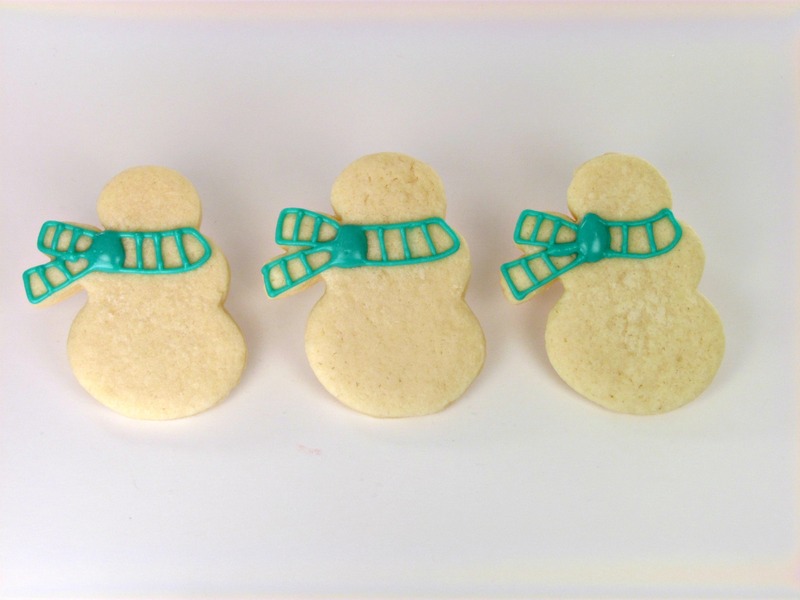 Outline the little old snowman body with the white icing. Then, flood the remaining squares with the red icing and let them dry for at least 30 minutes. 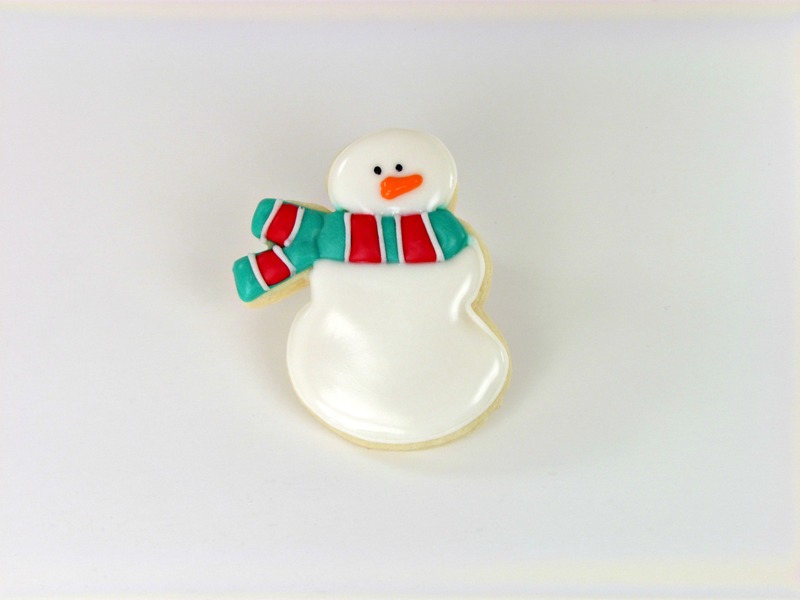 With the white outline icing, make the lines on the scarf. 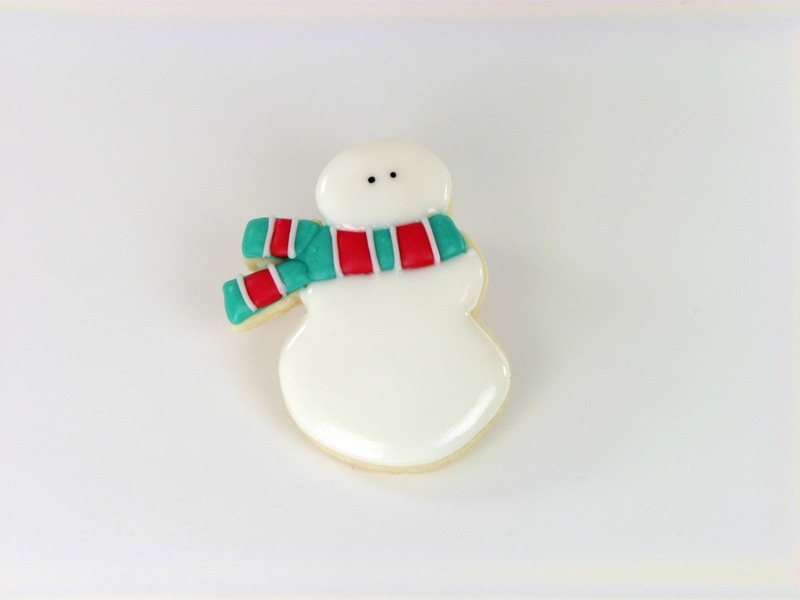 Next, with the white flood icing, flood the snowman. 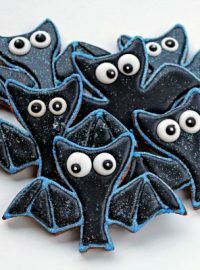 Let it dry for a few minutes then with your black icing to make the dots for the eyes or you can add one of these eyes while the icing is wet. He is now ready for the cute little orange nose. With the aqua icing add the three buttons. 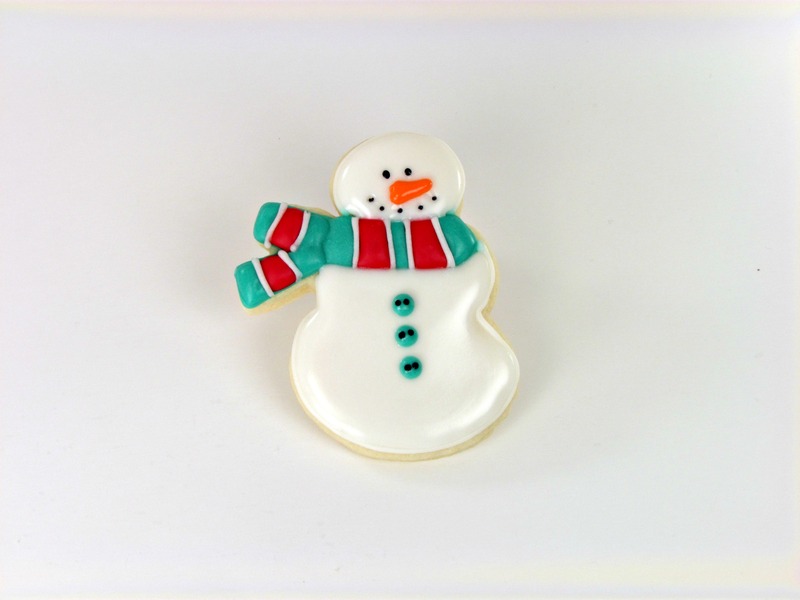 I used a toothpick dipped into the black icing to add the dots on the buttons and the mouth. You can stop there but I want to show you how I did my version of antiquing. 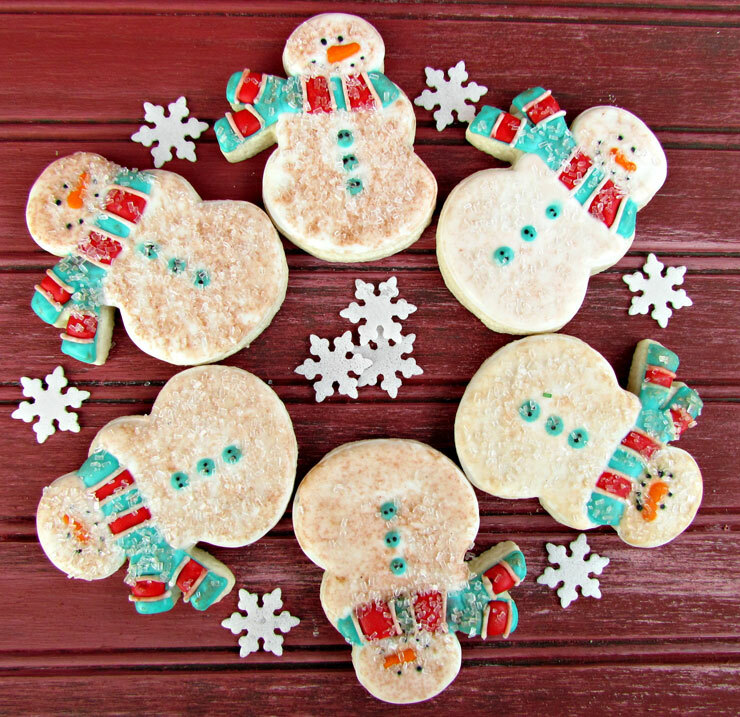 You can do this to any completely dry cookie. 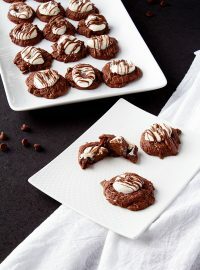 If it is wet at all, you will end up with a very messy cookie. 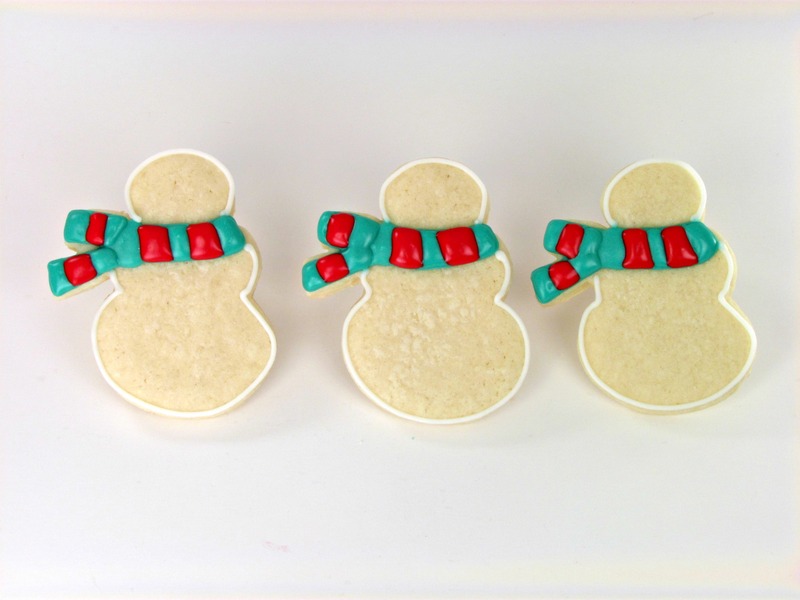 You need brown outline flood icing, water, paper towel, sanding sugar, bowl and spoon. I used a coffee filter for the sprinkles. First, squeeze a small amount of brown icing into the bowl. Add water and mix. It should look like the bowl in the third picture. It should look brown water at this point. 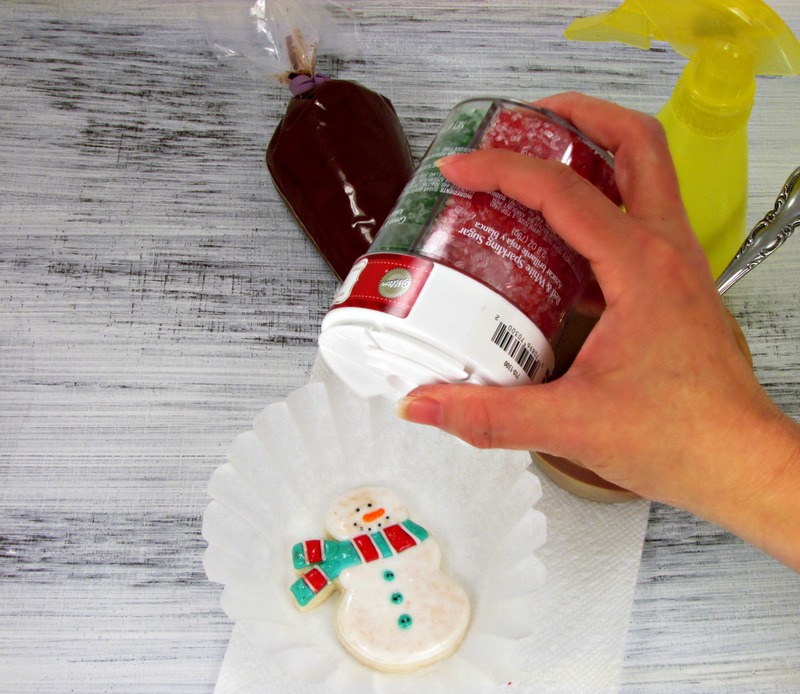 Now dip your paper towel into the brown water mixture and dab onto the snowman. You want to be careful how much liquid you add. Too much will break down the bottom layer of icing. 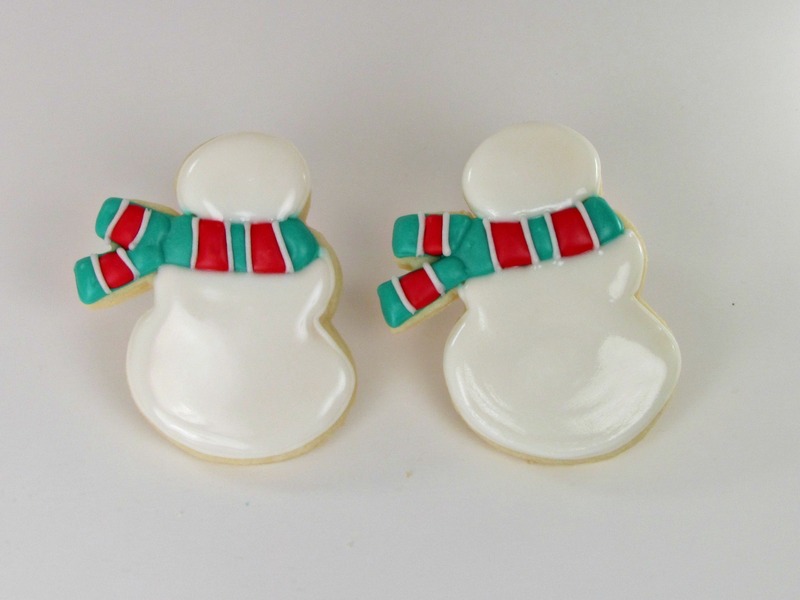 Water and royal icing don’t play nice with each other. The more you dab the darker the cookie will be. You can also use a paint brush to add the antique look like I did here. 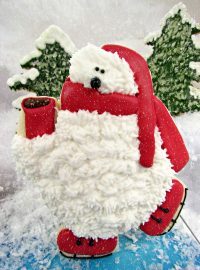 Now place him in the coffee filter and sprinkle with white sanding sugar. 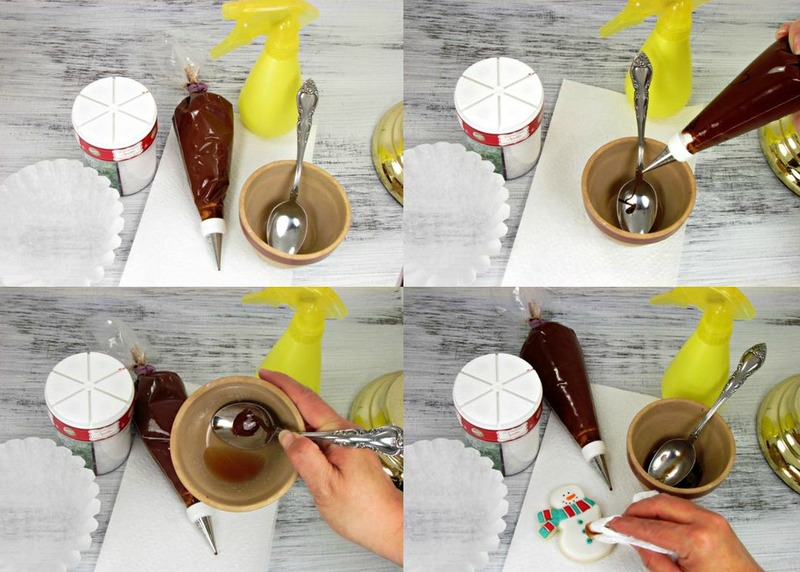 You need to work fast because if the water mixture dries, the sugar will not stick. 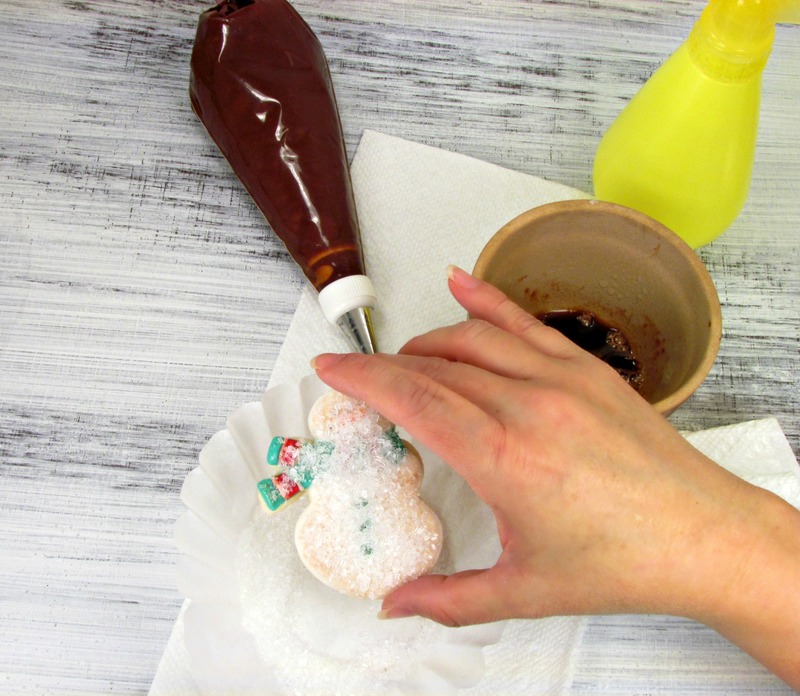 Cover the cookie completely and then dump off the excess sprinkles. All done! 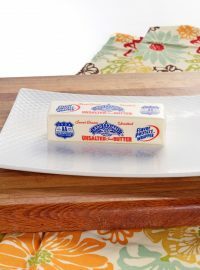 I think this technique would look good on some of those beautiful vintage cookies I have been seeing. Can’t wait to see what cookies you antique. So cute! The coffee filter is a great idea! I have never seen anything like this! What an amazing technique! love this. I love primitive.